We live in a time in which photographs have become extraordinarily mobile. By being digitally networked, they can be exchanged and circulated at the swipe of a finger across a screen. Images on screens are constantly refreshed, photo and video are frequently indistinguishable. The digital photographic image appears and disappears with a mere gesture of the hand. This book argues that this mobility of the image was accelerated but not inaugurated by digital media and telecommunications. Photographs, from the moment of their invention, set images loose, by making them portable, reproducible, able to be projected, miniaturised, multiplied. The fact that we do not associate analogue photography with such mobility has much to do with the limitations of existing histories and theories of photography, which have tended to view photographic mobility as either an incidental characteristic or a fault. These histories and theories have their own genealogies, emerging in specific cultural and historical contexts that predisposed them to particular understandings and values. 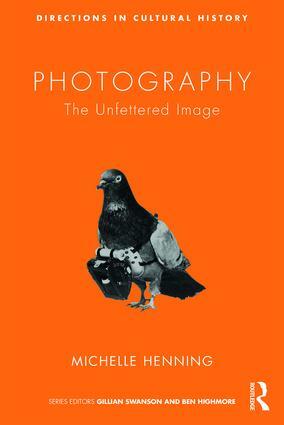 Photography : The Unfettered Image traces the emergence of these ways of understanding photography while at the same time presenting a differently nuanced and materialist history, in which photography is understood as part of a larger development of media technologies in the nineteenth and early twentieth centuries, linked to telegraphy, to new print technologies and to television. It is also situated in a much broader cultural contexts: caught up in the European colonial ambition to “grasp the world” and in the development of a new, artificial “second nature” dependent on the large-scale processing of animal and mineral materials. Focussing primarily on Victorian and 1920s-30s practices and theories, this book demonstrates how photography was never simply a technology for fixing a fleeting reality.